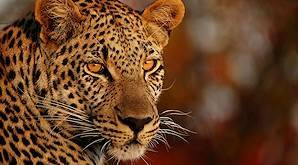 South Africa attracts more international hunters annually than any other country in Africa. South Africa is the most popular hunting destination on the continent. The wealth of species on offer, the wide range of hunting experiences, overall affordability and fantastic infrastructure all contribute to a world-class African hunting destination. From tracking a lion across the primeval sands of the Kalahari Desert to unwinding with a refreshing beverage in the plush environment of a five star hunting camp, South Africa has a hunting experience available to realize every hunter's dream. The primary areas that we include in our South African hunting packages are the bushveld (Limpopo and Gauteng), lowveld (Mpumalanga), parts of the North West, the Kalahari (Northern Cape), the Eastern Cape and the plains of the eastern Free State. While certain trophy animals may be taken in multiple areas - particularly your more common plains game species like impalas and blesbok - each area also boasts its own distinct species, which makes pursuing that animal in that environment all the more authentic and memorable. We make use of various hunting camps in each area to ensure that each hunter's individual needs are met. Whether you prefer hunting from a base that is truly off-the-grid and rewardingly rustic, or you savor the finer things in life and enjoy a base endowed with every imaginable creature comfort, you will find your expectations exceeded. The camps have been carefully selected for their locations, level of intimacy and the high caliber of the staff complement. Most camps are easily accessible via OR Tambo International in Johannesburg, which is also a large part of the appeal in choosing South Africa for your hunting safari. 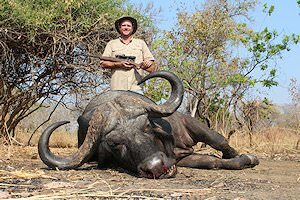 You can hunt the formidable Cape buffalo in a truly wild area some two hours from the airport, and be none the wiser that such a cosmopolitan city is a stone's throw from your hunting camp. Regional flights - to Port Elizabeth for the Eastern Cape, or to Nelspruit for the lowveld - are competitively priced. Charter flights are required for remote destinations like the Kalahari, and if you'd prefer to skip the lengthy drive to the Free State. South Africa is particularly ideal if you are looking to bring along observers or your family, as there is such a wealth of local highlights for them to enjoy. Tacking on a safari in the world-renowned Kruger National Park is particularly popular, but you are welcome to venture further afield. Our photographic safaris and tours are entirely customizable for exactly this purpose. 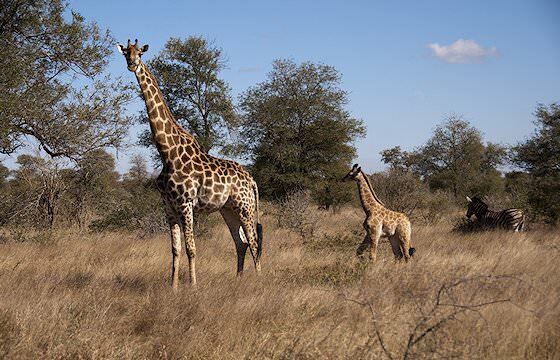 The bushveld is convenient both for its easily accessible location as well as the wide variety of species - both plains and dangerous game - available for hunting. Our bushveld hunting camps are warm, inviting and luxurious, while still enjoying wild authenticity integral to an African hunting safari. 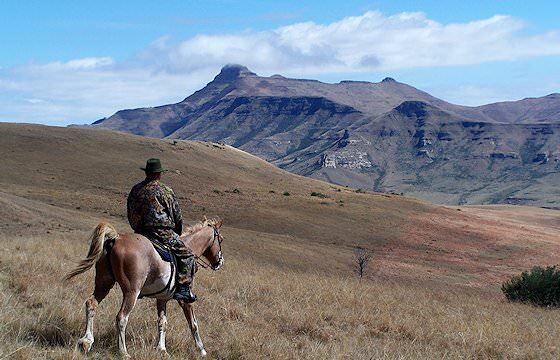 The Eastern Cape offers an incredibly scenic hunting environment, with hunting camps in bucolic settings and unique species on offer to set the avid African hunter's heart racing. Pursue rarer antelope species like the tiny blue duiker, the grey rhebok and red lechwe, or opt for a thrilling nighttime caracal hunt. The eastern Free State is an area of open plains, framed by undulating mountains in the distance. 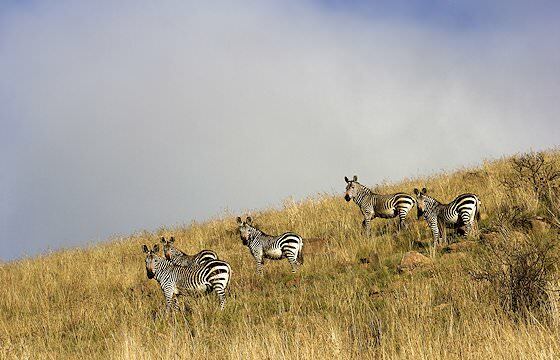 This terrain is ideal for hunting South Africa's wealth of plains game species, including black wildebeest, blesbok, springbok, red hartebeest and more. The hunting camps are celebrated for their countryside charm. The Kalahari is our go-to location for lion hunting. This remote outpost of stark red sands and brilliant night skies is the Africa hunters dream about. 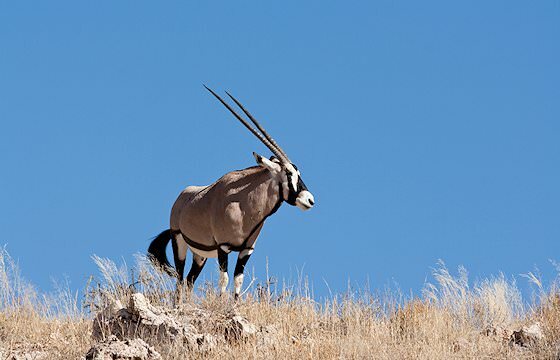 Other exciting species available for hunting against this striking backdrop include gemsbok, giraffe, springbok and typical plains game fare like impala and blesbok. A variety of fully inclusive plains game packages are on offer. 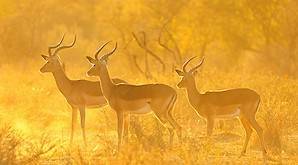 These packages include all the most popular trophy animals like kudu, impala and blue wildebeest. 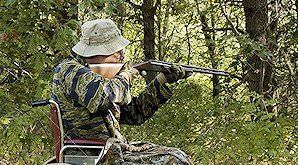 Both rifle and bow hunting can easily be accommodated, and both types are conducted by highly experienced, licensed Professional Hunters. If you are looking for an exciting, unique, and memorable hunting experience, head for South Africa. Big Five hunting in South Africa is arguably the most challenging - and yet equally rewarding - endeavor a hunter can embark upon in his lifetime. The lion, elephant, buffalo, leopard and rhino commonly known as the Big Five, received this name in years past when the first European hunters in Africa believed them to be the most dangerous of the African mammals. An unforgettable adventure is on the cards. Wing shooting in South Africa is an outdoor pursuit that can be enjoyed in several of the country's safari areas. ASH Adventures does not offer dedicated wing shooting packages, but we do offer wing shooting as an add-on to your plains game or Big Five hunting safari in South Africa. 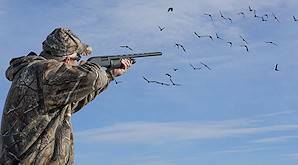 When wing shooting in South Africa, the bag can include several species of dove, duck, spurfowl, Egyptian goose and guinea fowl. 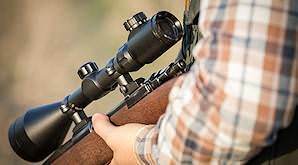 Rifle hunting is a very popular outdoor pursuit in South Africa. Hundreds of thousands of South Africans and international sportsmen hunt the great diversity of plains game species in South Africa annually with their favorite rifle in hand. Most of our clients prefer rifle hunting to bow hunting. About 95% of all the trophies taken by our clients annually are done so with a bolt action rifle. South Africa offers some exceptional bow hunting opportunities. 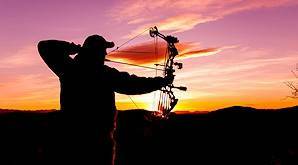 The concession areas in which ASH Adventures offers bow hunting are dedicated solely to this purpose, ensuring that the animals are more relaxed than in areas where rifle hunting is conducted. Comfortable blinds have been erected in strategic positions, maximizing the chances of taking the trophy of your choice. South Africa offers some exceptional bow hunting opportunities. The concession areas in which ASH Adventures offers bow hunting, are dedicated solely to this purpose, ensuring that the animals are more relaxed than in areas where rifle hunting is conducted. Comfortable blinds have been erected in strategic positions maximizing the chances of taking the trophy of your choice.